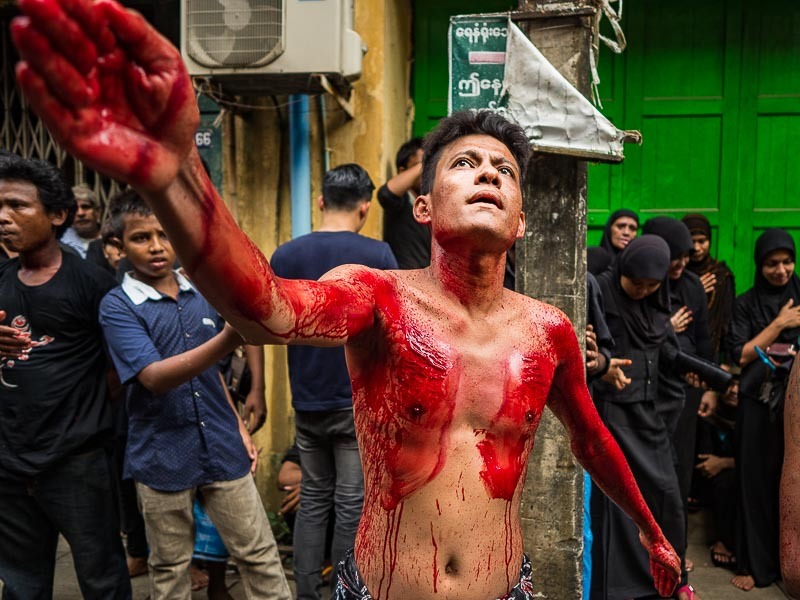 A Shia man participates in the self flagellation rituals during Ashura in Yangon. I'm traveling with limited internet access so there won't be many updates until I get back to Bangkok. You can follow my day to day work by hitting my Instagram feed.